As a mom, it is easy to forget about taking care of yourself and your nutrition may fall by the wayside. Since us moms give most of our time and energy to our kids, it is easy to let this happen. 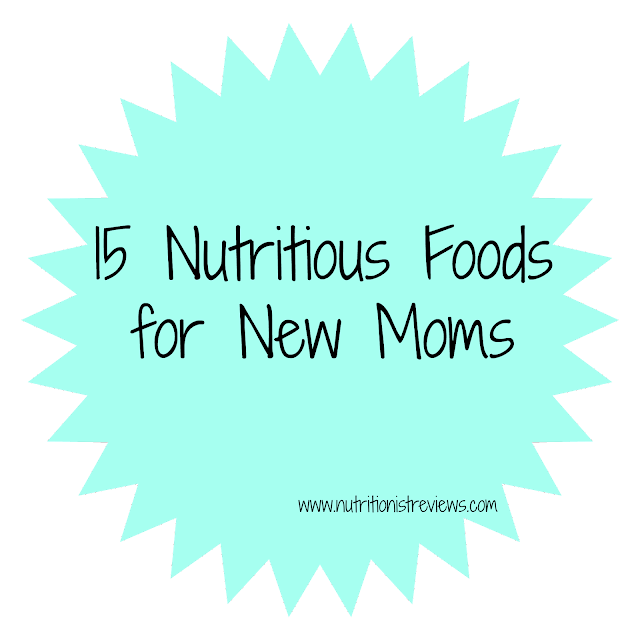 It is very important for new moms to eat a healthy diet so that they have enough energy to care for their babies and so their babies have proper development. If you are nursing, it is even more important since your body needs the right nutrition to be able to produce milk for baby. 1. Salmon- Helps prevent/reduce inflammation in the body. Also, it may help to increase your mood. 2. Dairy- Helps with bone develop and has calcium, vitamin D, B vitamins, and protein. 3. Oats- Oats can help to increase breast milk supply and are also a whole grain which is rich in fiber and will keep you fuller for longer. 4. Lean Beef- Iron rich foods like beef can boost energy in new moms. When nursing, you also need extra protein and vitamin B12. 5. Beans- Rich in protein and fiber while being budget friendly. After delivery, you want to make sure you get plenty of fiber (we will leave it at that!). 6. Blueberries- Contain antioxidants and carbohydrates to keep energy levels high. 7. Flax seeds- Flax may help to increase your milk supply. It is great in oatmeal or yogurt. It also can be thrown into most baked goods for a boost of nutrition. 8. Brown Rice- Provides you whole grains to produce the best milk for your baby. 9. 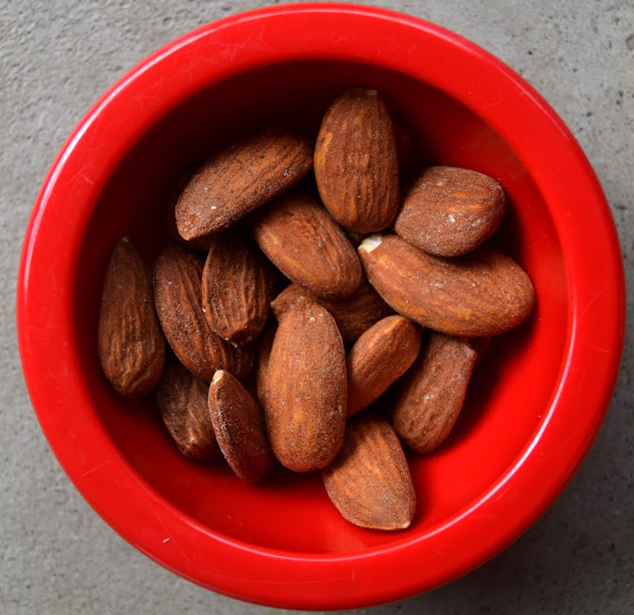 Nuts- Nuts make a great snack for moms because they are high in healthy fats, protein and fiber and are easy to eat when you are taking care of a baby. 10. Oranges- Nursing moms need a higher amount of vitamin C than other women. 100% orange juice is an alternative if you are on the go. 11. Eggs- Contain a natural source of vitamin D to keep your bones healthy and help the baby’s bones grow. Also, contains a lot of protein to meet your needs. 12. Leafy Greens- Filled with vitamin A, calcium, vitamin C and iron which are crucial for you and your baby. Also, have antioxidants and are low calorie. 13. Chia seeds- I love chia seeds in my smoothies, oatmeal and in yogurt. They are also great in popsicles for my daughter now that she is old enough to eat them. They are rich in omega 3 fatty acids which can help your mood and may play a role in preventing postpartum depression! 14. Whole Wheat Bread/Cereals- Contains folic acid which is important in your breast milk. Also, gives you fiber and iron. 15. Bell Peppers- Bell peppers are rich in vitamin C which new moms have an increased need for. If you are having trouble getting enough vitamin C, Nature’s Truth sells a vitamin C supplement. Vitamin C* is rich in antioxidants and is known for promoting healthy immune system function. It also help with heart and circulatory healthy and starts the production of collagen in the body.